An increasing amount of work in many aspects of human geography is concerned with the effects caused by different types of institutions. Included in this book, originally published in 1982, is material from Britain, Ameican and Europe and it is shown that differences in institutional powers in these places, especially those vested in the State, relate directly to their own particular urban and environmental policies and problems. 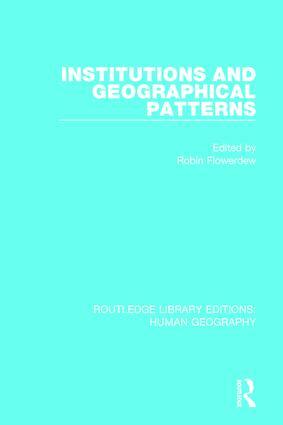 Each chapter, written by an expert on this subject, considers key institutions in a number of fields and draws conclusions about how this ‘institutionalist’ approach can be used by geographers.